In Ohio in 2015, there were over 125,000 reported non-fatal workplace injuries. Most employees returned to work promptly. Many suffered no significant lasting effects of their injuries, and they recovered fully. Unfortunately, there were others who were not so lucky. For some Ohio and Columbus workers, a workplace injury or illness leaves them with permanent physical damage. For those employees, life is forever changed. While they may work, their earning capacity may be diminished, and their personal lives may not be the same. To help address some challenges these workers face, the Ohio workers’ compensation system offers permanent partial disability benefits. Permanent partial disability (PPD) is offered to Columbus and Ohio workers who experience residual damage after a work-related illness or injury. Residual damage is permanent injury that cannot be resolved; an employee has recovered as fully as is possible, but will never return to the same physical state as before the injury. Often, this means that the employee cannot work and earn income in the same manner. Permanent partial disability benefits seek to address the loss of earning capacity created by the injury. For example, consider a factory worker with a piece of equipment falling on his arm, breaking his elbow. He receives proper treatment and heals. However, after the injury, he cannot extend his arm. While he may perform job functions and still work, he has suffered a permanent injury that could qualify for PPD benefits. Permanent partial disability benefits are paid every other week, like most workers’ compensation benefits. Typically, the amount is based on two-thirds of the worker’s average weekly wage, though the amount may not exceed one-third of the statewide average weekly wage. And PPD benefits are awarded based on the extent of the injury. Injured workers must undergo an independent medical exam, and a physician will determine the level of the impairment. A percentage will be assigned to the injury, and compensation will be equal to that percentage. In our previous example, it may be determined that the worker is experiencing a 20 percent residual impairment. He would then be eligible to receive 20 percent of the maximum compensation allowed. This medical exam and the assignment of the impairment rating are critical to obtaining permanent partial disability benefits. Even a small change in the rating can mean a significant difference in compensation for the injured worker and his family. It is possible to challenge this rating if the employee feels it is too low. Workers have 20 days from receiving the rating notice to file an objection with the Bureau of Workers' Compensation (BWC). Then, the worker will appear before the Industrial Commission, who will hear their claim and offer a ruling. The commission can uphold the initial rating, lower the rating, or increase the rating. On the date of the injury – For those who did not miss work and were paid full wages by the employer following the injury or for those who missed work but were not compensated. On the date of the last payment of temporary total disability – For those who missed work and obtained TTD benefits for the injury. 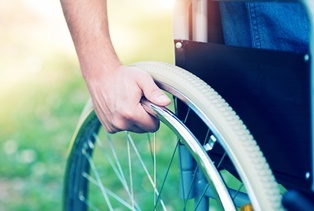 If you or someone you love suffered a work-related injury that left you with lasting damage, you may be eligible for permanent partial disability benefits. The experienced Ohio workers’ compensation attorneys at Monast Law Office may help. Take a moment to fill out our online contact form, and you’ll receive a prompt response from a member of our team who can help you learn more about your rights and legal options.